Former middleweight champion Kelly "The Ghost" Pavlik was in Las Vegas last month for the middleweight mega-fight between Canelo Alvarez and WBC/WBA/IBF/IBO world champion Gennady Golovkin. The fight was very entertaining and ended in a twelve round split draw at the T-Mobile Arena. Pavlik covered the fight for his new boxing podcast, 'The Punchline,' and was very respectful of both fighters but feels that this era of middleweights doesn't stack up with his era. 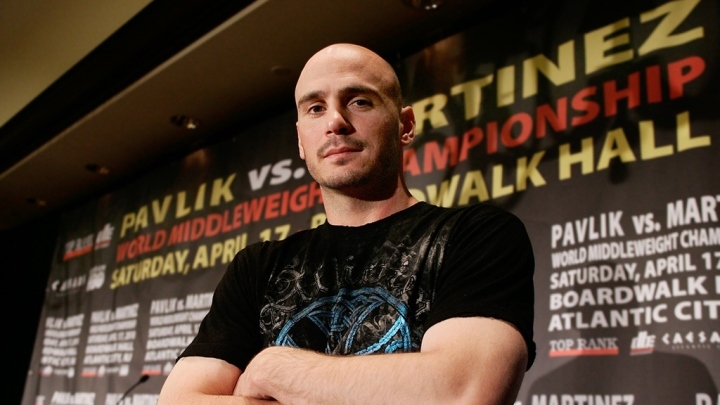 Over the course of his career, Pavlik faced the likes of Jermain Taylor, Sergio Martinez, Marco Antonio Rubio, Gary Lockett, Bronco McKart, Edison Miranda and Bernard Hopkins. He also had fights lined up against former champions Andre Ward, Lucian Bute and Paul Williams that fell apart for different reasons. While Golovkin has spent his career in the middleweight division, the majority of the fighters competing at the weight have moved up from lower weight classes. Canelo, for example, began his career as a welterweight and then went to junior middleweight to capture his first world title, before making his official move to 160-pounds earlier this year. One of the main differences Pavlik sees in this era of middleweights is the size of the fighters. He feels that the fighters were a lot bigger during his reign. Pavlik, who last fought in July 2012, stood at nearly 6'3. "(Golovkin and Alvarez) haven't seen the likes of my era, my guys. Most of the guys averaged 6 feet tall and walked around at 200, 190, 180 pounds. Just different. I'm taking nothing away but the last couple years you had numerous welterweights and junior middleweights holding the middleweight title. Triple G is a good sized middleweight and it's not really his fault but there is just a lack in the middleweight division," Pavlik told BoxingScene.com.